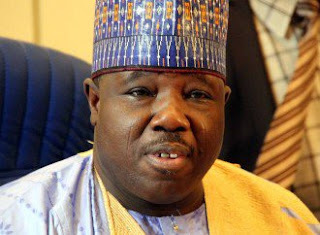 Sacked national chairman of the Peoples Democratic Party, PDP, Senator Ali Modu Sheriff, has reacted to the Supreme Court judgement. The former Borno State governor was on Wednesday booted out of office by the apex court following a prolonged leadership tussle in the party. Many prominent members of the main opposition party have reacted to the judgement, describing it as victory for democracy and Nigerians. Also following the ruling, the party has rekindled its hope to reclaim power from the All Progressives Congress come 2019. Rivers State governor, Nyesom Wike had immediately after the court verdict said Sheriff would obey the court order and still be part of the party. In line with that, Sheriff, via his twitter handle, @senAliSheriff, wrote, “The Supreme Court has spoken, I congratulate Senator Makarfi. “We must all put our hands together to channel a new course for PDP.